Pot is coming to New York, what should product managers do? You might think that because the legislators of NY have decided to allow the use of pot to treat medical conditions that everyone is going to start walking around in NY stoned out of their mind. It turns out that the politicians were concerned about this happening also. That’s why even though they have passed a law that will allow marijuana to be sold, there are a number of significant restrictions on how this is all going to happen. Perhaps the first item to be dealt with is to fully understand just exactly who is going to be permitted to buy marijuana in NY. It’s only going to be sick people. Specifically people who are suffering from cancer, multiple sclerosis and AIDS. They will need a prescription from their doctor before they’ll be permitted to purchase any pot. People who want to buy pot are going to have to have state identification cards that will show that they have permission from their doctor. Then we get to the tricky question of just exactly where everyone is going to by buying their pot. 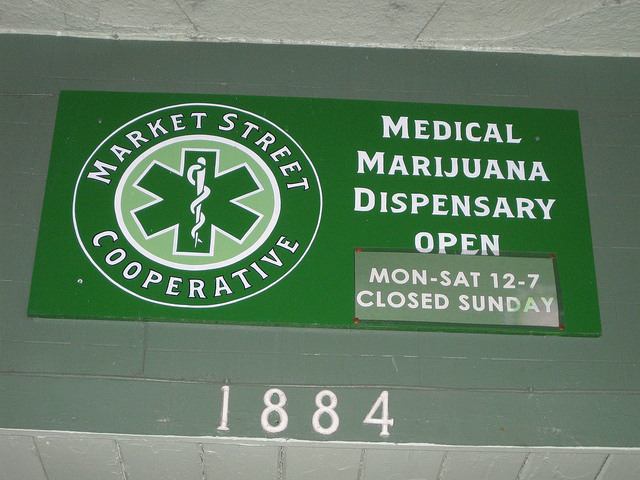 The law states that there can be up to 20 dispensaries within the state. The state will only be handing out five licenses to companies who will be permitted to sell pot in NY. As you can well imagine, there is going to be some serious completion for those licenses. As a product manager, I just love untapped markets because it gives me an opportunity to create a brand new product development definition. The possibility for success is so high that this can be a very fun job. Yes, there is also a great deal of risk when it comes to pot in NY – the lawmakers could change their mind, your company might not get one of the five licenses, etc. However, there is also the possibility of incredible success. Did you know that 20 million people live the state of New York. What an untapped market! If you could make it here, you’d really have something to put on your product manager resume. As a product manager who was working for one of the firms that wanted to get one of the five available licenses, right now my time would be focused on working to make my company appear to be the best candidate for a license. This would mean that I would have to be very carefully studying the current laws. Once the New York State Health Department writes the guidelines for the medical marijuana program this is quickly going to become your bible: it will tell you what you can and cannot do. As a potential NY pot product manager, you are also going to have to be looking to the future. If you are able to secure a license, you won’t be able to compete with the other four license holders based on price. The price of pot in NY will be set by New York’s Health Commissioner. That means in order to make your product more successful, you’re going to have to focus on delivery. Well lit dispensaries, call ahead service, home delivery, and easy payment are all going to have to be cornerstones of your product offering. Yes, customers are going to want your product, but they are going to have alternatives. Get out there and sell some pot product manager! Over 20 million people live in the state of New York. The politicians have recently decided to legalize the sale of marijuana for medicinal purposes. What this means is that there is going to be a great deal of competition for the five licenses that will be becoming available soon. Product managers are going to play an important role in the firms that are competing to win the five licenses that will become available. Initially it is going to be the product manager’s responsibility to understand how best to position his or her company so that they are able to win one of the five licenses. Once this has been accomplished, the product manager’s responsibilities will shift to making sure that his company is more successful that the four other firms that won licenses. This is really a basic part of any product manager job description. New York’s landmark decision to make marijuana available for medical purposes has created a brand new legal market overnight. The success of the firms that decide to participate in this market will be determined by the actions of their product managers. Ultimately the long term success of the firms that win the five licenses will also be determined by their product managers. What a great challenge this is going to be for those product managers! Hopefully they won’t let this opportunity go up in smoke…! Question For You: What will be the best way to position a company to win one of the four available licenses? So here’s my story: at this point in my career I’ve worked for 8 separate companies. Four of them were enormous multinational firms and four of them were startups. Three of the startups that I worked for went out of business and I’m now working at my fourth startup (keep your fingers crossed). If anyone out there is in a position to talk about what a product manager needs to be doing at a startup, I guess that it’s me.